1. When is Kevin Clash's birthday? 2. Where was Kevin born? 3. When Kevin was a child he built a puppet out of a piece of his father’s clothing without him knowing. What was the item? 4. Where was Kevin's first work in television? 5. 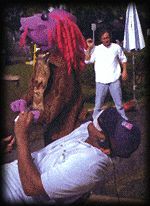 What was the first show in which Kevin performed with a puppet? 6. Who was Kevin's first contact at The Jim Henson Company? 7. Where did Kevin first meet Jim? 8. What year did Kevin Clash join The Jim Henson Company? 9. Which Muppeteer called Kevin his "twin"? 10. 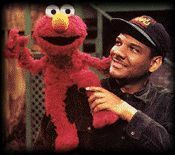 What puppeteer asked Kevin Clash to perform Elmo? 11. Which of these was one of Kevin's characters on the Tale of the Bunny Picnic? 12. 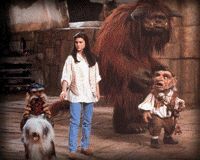 Kevin Clash performed which character from Labyrinth? 13. 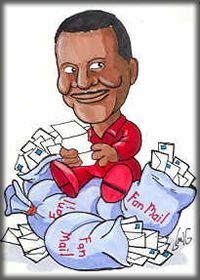 Which Henson film was Kevin Clash asked to work on but couldn't? 14. Which of these characters did Kevin perform on The Jim Henson Hour? 15. Which character did Kevin perform in two of the Teenage Mutant Ninja Turtles movies? 16. Which of these characters did Kevin not perform on Dinosaurs? 17. Which of the following is NOT a character performed by Kevin in Muppet Treasure Island? 18. What year was Kevin Clash nominated for an Emmy? 19. 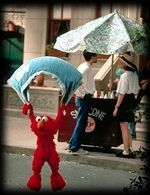 In Elmo in Grouchland, what character did Kevin Clash NOT perform? 20. Other than performing in Elmo in Grouchland, what other responsibility did Kevin have?